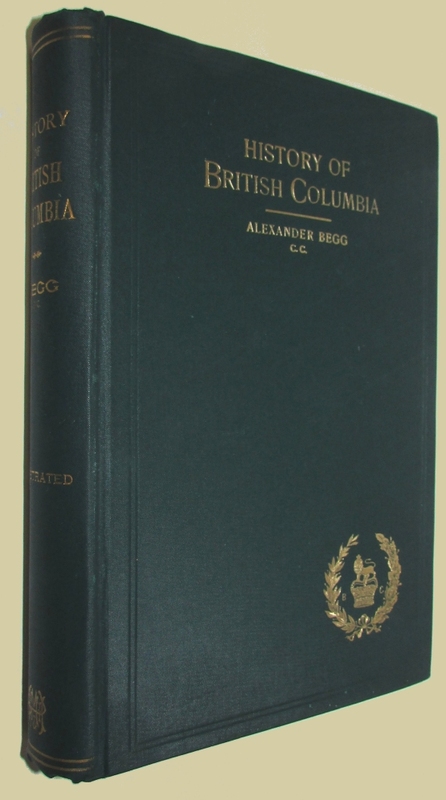 BEGG, Alexander. 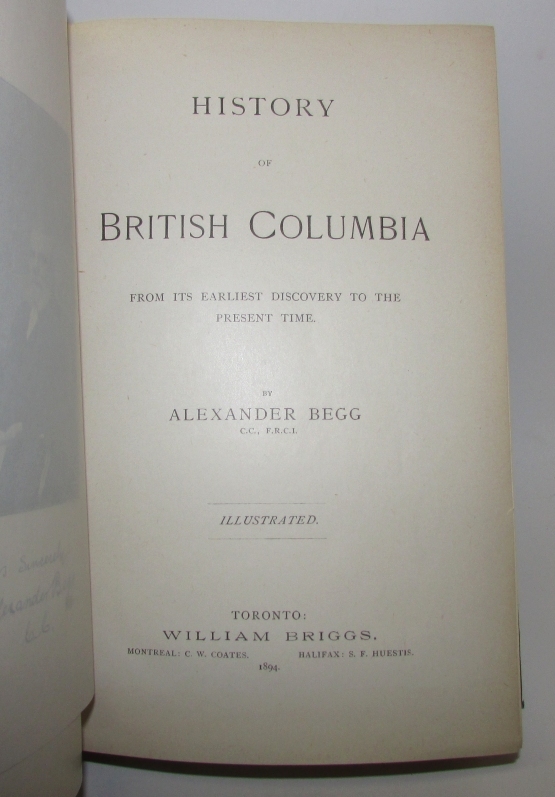 History of British Columbia from its Earliest Discovery to the Present Time. Toronto: William Briggs, 1894. First edition. Tall 8vo., original green cloth, xvii, (1), (7)-568pp. With numerous illustrations in the text and a folding map. Fine.